This review was originally written as part of my USA Road Trip series for French Toast Sunday, and was recommended to me by Will Slater from Exploding Helicopter as part of my Nominated Movies quest. Ben Harper (Peter Graves) has just stolen $10,000 from the bank, and killed two people in the process. 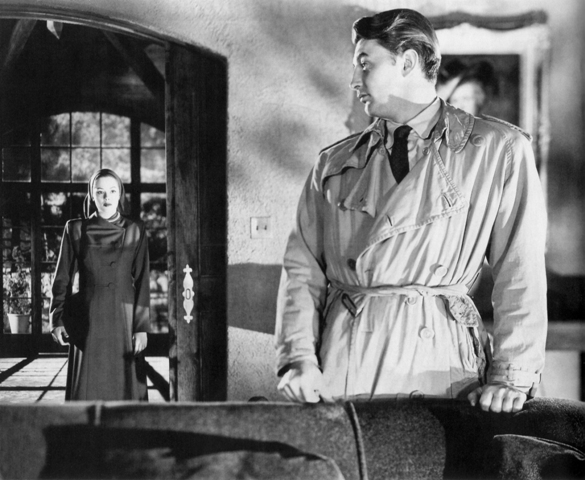 He tells his young children John and Pearl (Billy Chapin and Sally Jane Bruce) where the money is hidden, just before their father is arrested. In prison, Ben shares the details of his larceny with his cell mate, Reverend Harry Powell (Robert Mitchum), who has been arrested for stealing a car, but is in actual fact a serial killer. Upon his release, Powell heads to the Harper homestead, with plans of getting his hands on that money, by whatever means necessary. 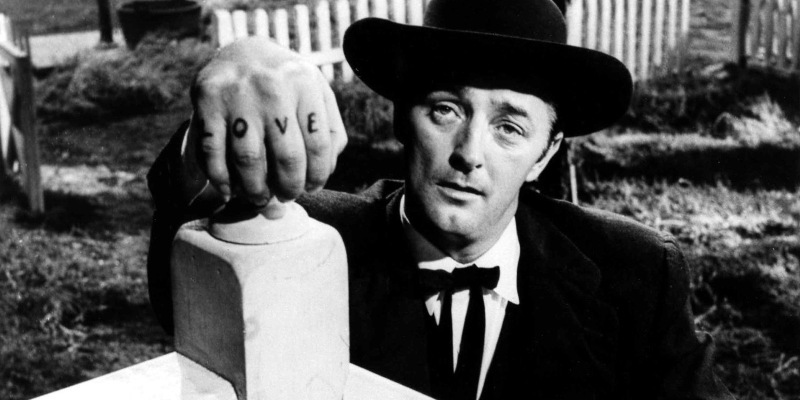 In the small town of Bridgeport there lives a man named Bailey (Robert Mitchum). He leads a simple life running the town’s gas station with his deaf mute assistant (Dickie Moore), and frequently heads out with the town’s pretty girl-next-door Ann (Virginia Huston). He seems to be fairly well regarded by most people in the town – apart from Ann’s mother – but all this changes when a mysterious stranger named Joe (Paul Valentine) rocks up and takes Bailey away with him. You see, Bailey isn’t just a mild-mannered gas station owner. No, he has a past, and things are about to come out of it. Oh, I get where the title came from now.